Last week, we talked the talk on New Hampshire with Maeve Reston of the L.A. Times. This week, we’re walking the walk. Ken abandoned all his Beltway comforts to smell that sweet 2016 air IN PERSON and get a feel for how the presidential primary season is shaping up right now. Hey, we know it’s 500 days away, but what political junkie could resist? So this week’s question is all about livin’ free or dyin’. In 1964, Henry Cabot Lodge (yes, the Henry Cabot Lodge whose name gets lodged in your head in our opening theme) shocked the political world by winning the New Hampshire Republican primary for president on a write-in campaign. He was the first person to win the primary via write-in. While Barry Goldwater and Nelson Rockefeller and the others were campaigning around the Granite State, Lodge was thousands of miles away, in Saigon as the U.S. ambassador to South Vietnam. This week’s question is: who was the second person to win the New Hampshire presidential primary as a write-in? Submit your answer in the box below. We’ll pick a winner at random from the bunch. 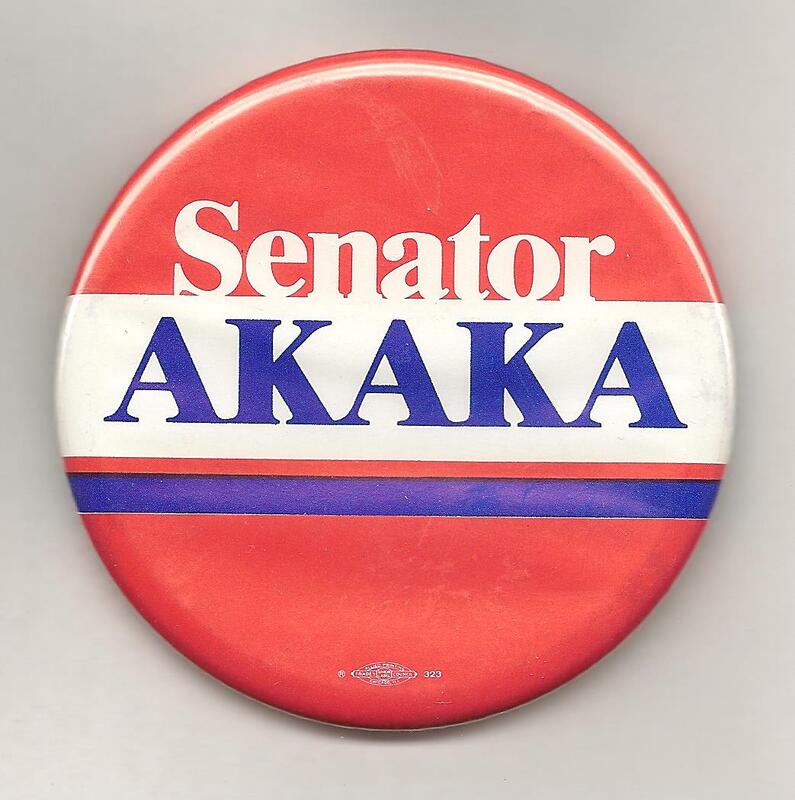 The winner will get a fabulous, vintage Political Junkie button. Don’t forget, you can get the trivia question a whole day early by simply liking our Political Junkie page on Facebook every Wednesday. You can sign up for our Political Junkie newsletter, too. You’ll get all the latest from Team PJ every weekend. It’s just that easy. Last week’s trivia question was: who is the most recent senator to run against female opponents three times? The answer is Daniel Akaka. A Hawaii Democrat, he faced Patricia Saiki in 1990, Maria Hustace in 1994, and Cynthia Thielen in 2006, and defeated all three. The randomly-selected winner is Mark Sellers of Chicago. He gets the coveted Political Junkie button, and a lifetime of bragging rights.